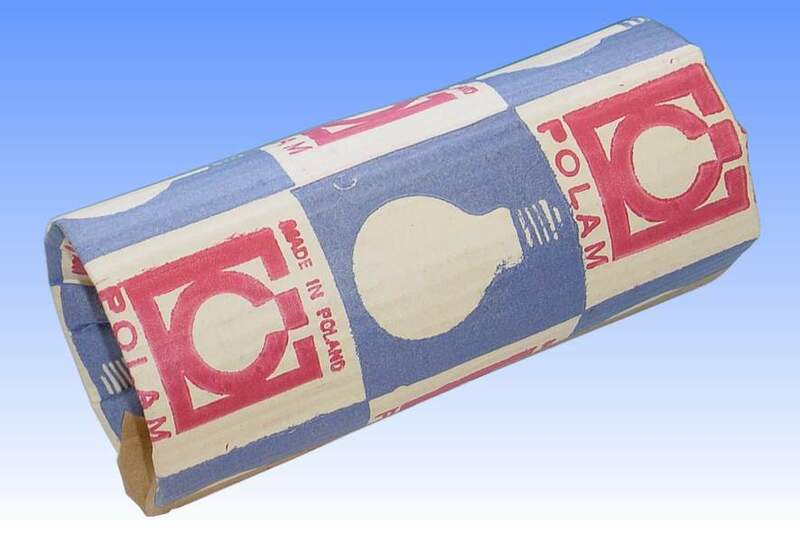 This is an example of one of the older mercury lamps to have beeb produced in Poland by Polam Pabjanice the former state-run lamp manufacturing operation. It was produced with technology originally exported from Philips in the Netherlands, and technically the construction of the arc tube is fairly similar. The phosphor coating on this lamp appears to be an interesting blend of two or more standard types. The peaks around 618 and 700nm identify the presence of the standard yttrium vanadate material, but the emission is very weak - some four times less than would be expected. 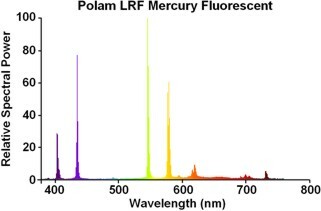 This is most likely due to inferior processing techniques in the phosphor manufacturing method, with either an inferior crystalline structure or the presence of impurities preventing the full quantum efficiency of this phosphor from being realised. Consequently the light output from this lamp would be rather low. Indeed, so low is the vanadate emission that the lamp achieves a red ratio of only 8.2% - a figure of 11% would be normally expected. 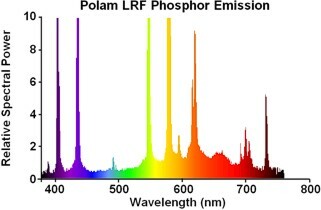 Behind the vanadate emission there is a second very broad emission centred around 600nm, and this is suspected to be from an orthophosphate based material blended in with the vanadate. The orthophosphates are useful for raising the luminous efficacy of the lamp but do little to increase colour properties. 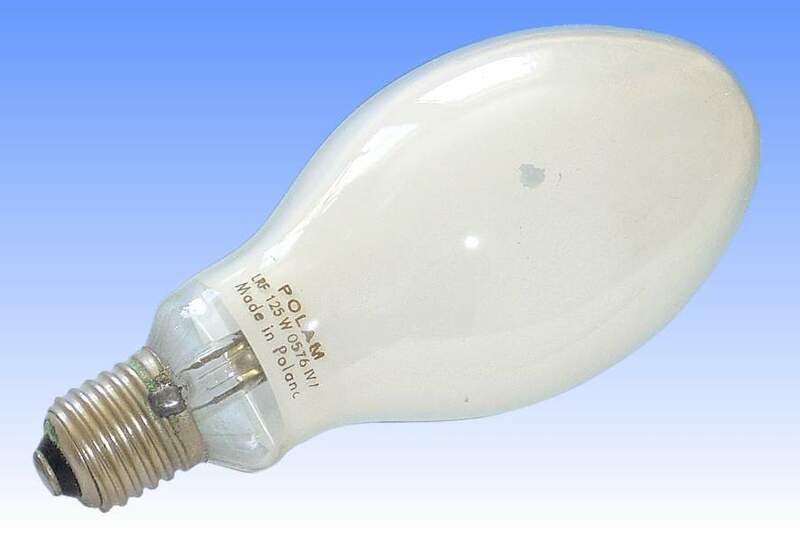 A pure vanadate coating would do better still, but if the manufacturer was unable to manufacture it to the required quality, this dual phosphor blend was perhaps the best attempt they were able to make to improve colour properties slightly, without loss of efficacy.